AUGUSTA – Rep. Jessica Fay’s bill to ensure working and service dogs have more access to emergency care was signed into law by the governor last week. Liability Protection to cover trained emergency personnel who treat working and service animals in emergency situations. 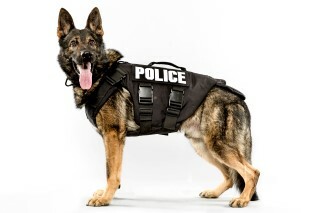 The bill, LD 1716, “An Act to Protect Persons Who Provide Assistance to Law Enforcement Dogs, Search and Rescue Dogs and Service Dogs” was proposed by law enforcement personnel, and it enjoyed wide bipartisan support. It will go into effect 90 days after the Legislature adjourns. Fay is serving her first term in the Maine Legislature and represents part of Casco, part of Poland and part of Raymond. She serves on the Legislature’s Environment and Natural Resources Committee.